On the weekend of April 22, Trinidad and Tobago deported 82 Venezuelan nationals, some of whom were registered asylum seekers. There were also asylum seekers who had been held in the Immigration Detention Centre (IDC) although they had already applied for asylum and their refugee status determination interviews were pending. The United Nations Refugee Agency (UNHCR) strongly criticised the decision and called for the country to abide by its international obligations to ensure people with possible international protection needs are given access to asylum procedures and never returned to a country where their lives may be at risk. IDC research and other reports continue to produce evidence that immigration detention is often unnecessary and instead undermines processes to identify and ensure protection for persons fleeing violence or instability in their home countries. Detention is extremely harmful to individuals health and well-being and generally creates new obstacles to access asylum procedures, legal representation and support from NGOs. As happened in Trinidad and Tobago, detention can also lead to refoulement or unnecessary return before each individual case has been reviewed and resolved. 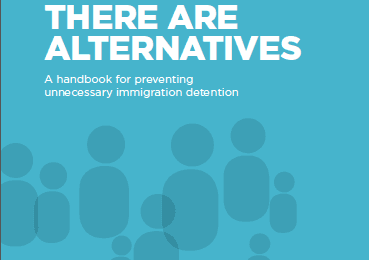 By contrast, alternatives to detention do better to ensure people seeking safety are identified and can access international protection procedures. The most effective alternatives to detention offer people the chance to remain in community, and provide for basic needs, legal advice and individual case management while awaiting a final outcome on their migration situation. Such alternatives already exist in Trinidad and Tobago, including programs specifically for people seeking international protection. These alternatives include community based programs run in collaboration with local civil society organization Living Water Community (LWC). LWC provides case management and partners with UNHCR and the International Organization for Migration (IOM) to assist persons in the asylum process, from application to resettlement. They provide services or referrals for legal, psycho-social and other forms of support. Refugees and asylum-seekers are issued an “order of supervision,” which allows them to reside freely in the community with regular reporting to the Immigration Division. Such alternatives work to ensure human rights of individuals are respected while promoting compliance with authorities for effective case resolution. Trinidad and Tobago is one of the largest refugee-receiving countries in the Caribbean. In response to the growing number of asylum-seekers in the country, the Government adopted a Refugee Policy in 2014. Although many challenges persist, the policy is a step in the right direction and articulates a phased approach to developing a comprehensive asylum system and plan of action for transitioning the responsibility of refugee status determination from UNHCR to the government. 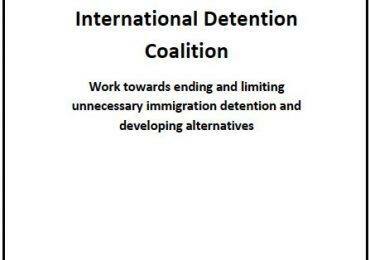 Detention centres should be independently monitored in partnership with civil society organisations to ensure international standards are met.